The 5-8 Club has received national recognition (The Travel Channel's Man vs. Food, Food Wars and 100 Tastiest Places to Chow Down) as having one of America's best cheeseburgers. Needless to say, we were elated to bring this iconic restaurant's website up-to-speed. Focusing on simplicity and support for the equity that existed in this historic brand, we rolled out an updated web presence to great acclaim. Despite having a stellar reputation for their renowned "Juicy Lucy," the 5-8 needed to incorporate some fresh new SEO tactics to help differentiate themselves from the local competition. 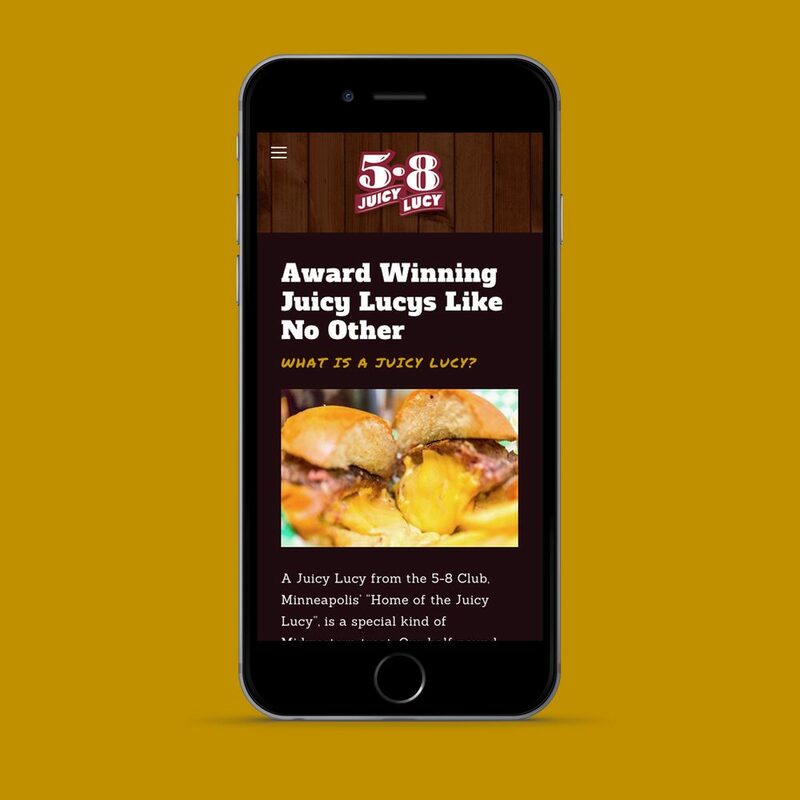 After completing a thorough audit of the "Juicy Lucy" landscape in the Twin Cities, we deployed an effective search engine optimization strategy to bring users to The 5-8 Club's digital doorstep. Building the site within the Squarespace platform helped to make SEO maintenance a quick-and-easy process.